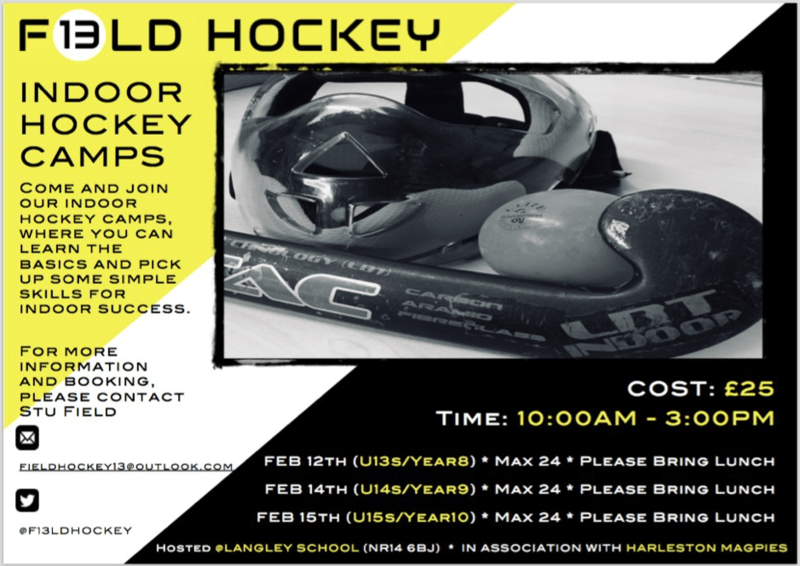 For those looking for a hockey activity this February half term and would like the chance to try out indoor hockey or brush up on your existing indoor skills Stuart Fields, Head of Hockey at Langley School and member of Magpies coaching and playing staff will be running some indoor hockey camps this half term. Indoor hockey is fast paced and fun! Coaches agree that there is a huge benefit in player development from indoor hockey exposure because many of the techniques are transferable to the outdoor game but your base skills have to be much sharper indoors due to the reduced pitch size and speed of play. Indoor hockey is great for building ball control skills and first touch as well as developing a player’s strength on the ball, in tackles and accuracy in passing alongside improved off the ball speed and movement. From a Goal Keepers perspective, indoor is good for reflexes and footwork skills, and it’s great for learning to read the play better and maintaining concentration levels. Goal Keepers are in the thick of it from the moment the match commences.